Well I didn't make the bagels from scratch...too lazy to do that on a Saturday morning. You could make them yourself but I just bought them. 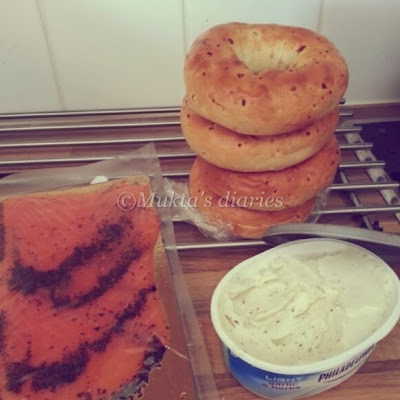 So here is what you need to make a cream cheese and salmon bagel. Cut the bagel into half.Toast the two halves in a toaster or on the griddle. Apply cream cheese liberally on both sides. 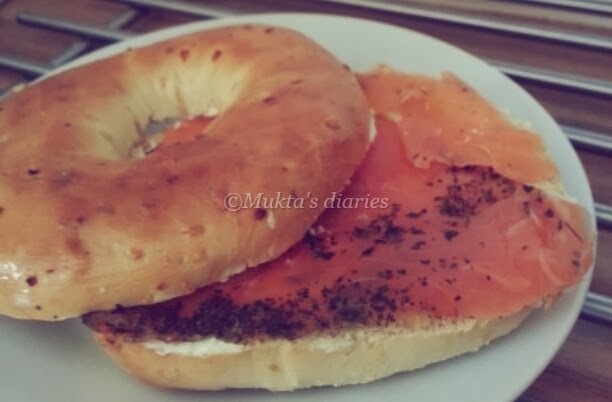 Place a layer of the smoked salmon on one of the sides.